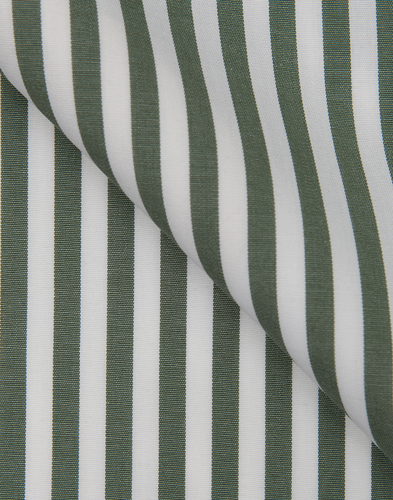 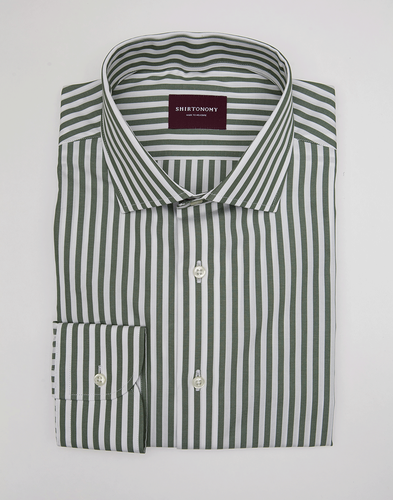 Broad striped fabric of poplin quality. An interesting alternative to more conventional blue-striped fabrics. When worn with a suit it is easily matched with any type of dark coloured solid tie. 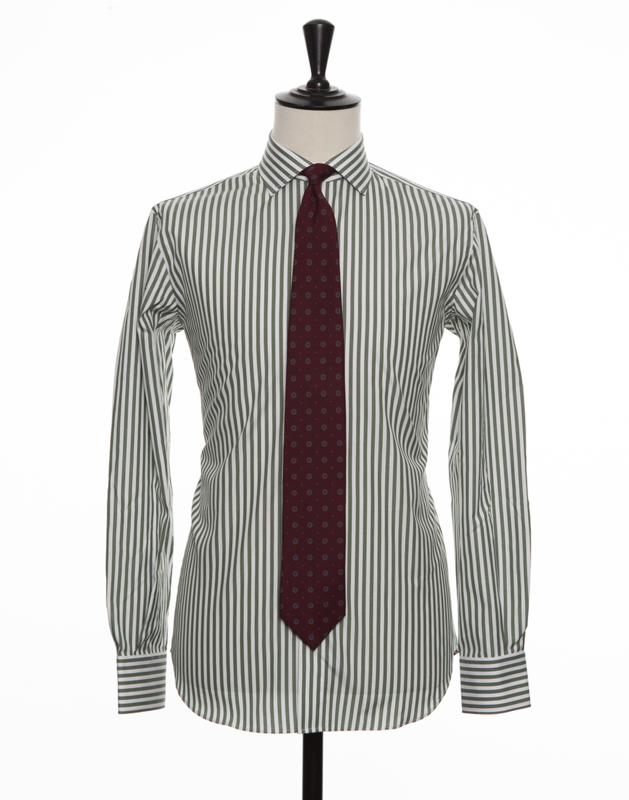 The fabric also works well without tie in more informal combinations, suggestively with a button down collar. 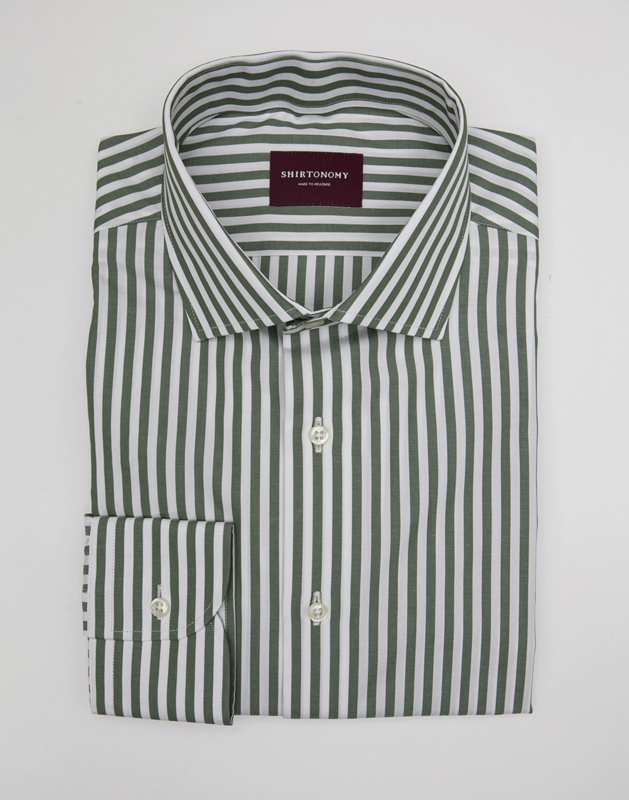 The fabric is weaved in Portugal of long-staple cotton and has a soft feel.